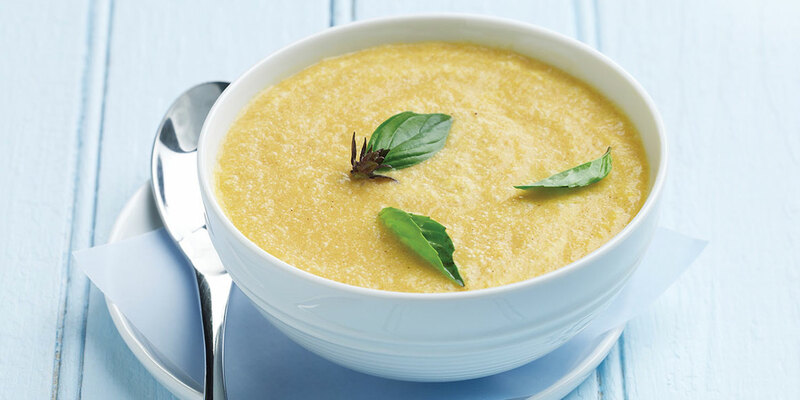 A luscious, silken, chilled soup. In a food processor or blender, puree the cantaloupe with the cream, sugar, lemon juice, and Chinese five-spice powder. Transfer the puree to a pitcher. Place the grated ginger in a piece of cheesecloth. Squeeze the ginger of its juice and add the juice to the cantaloupe mixture. Discard the ginger solids. Cover and refrigerate the cantaloupe soup for 1 to 2 hours. Pour the soup into individual bowls and garnish with the Thai basil.